Australian Outdoor Living has been recognised for outstanding achievements in creativity, innovation and professionalism at the SPASA Awards of Excellence held on 16 June 2018 at Adelaide Town Hall. “This annual SPASA celebration of excellence is a result of months of tireless work by Australian Outdoor Living, as we constantly strive to set new pool and spa industry benchmarks,” said Mathew Giles, Pool Sales Manager for Australian Outdoor Living. In this year’s judging, Australian Outdoor Living collected the National Award of Excellence in the best pool and spa combination category, reflecting our company’s commitment to quality and service. The SPASA Awards of Excellence are judged by an independent panel of experts. The awards are designed to promote achievement in design and innovation, energy and sustainability, construction, service, and professionalism across all sectors of the industry. Australian Outdoor Living Takes Out the Swimming Pool & Spa Association of Australia (SPASA) Best Pool and Spa Combination. Need a fibreglass pool for your home? 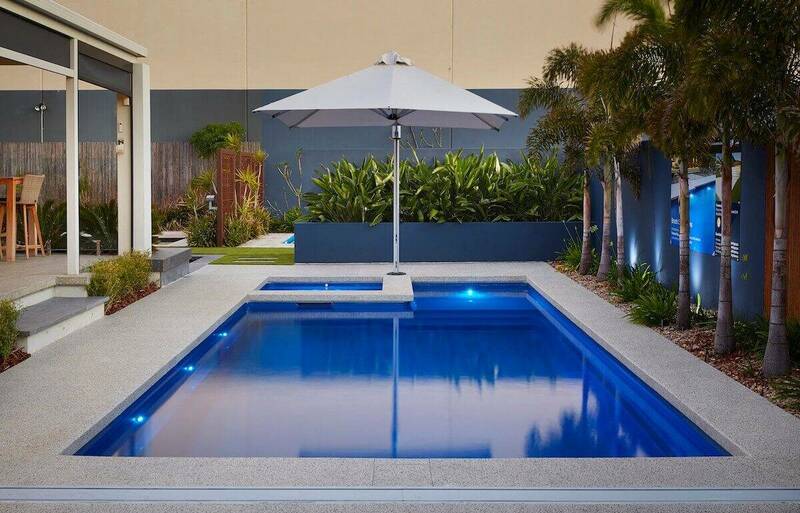 At Australian Outdoor Living our pools are a great source of inspiration. Over the years, many of our fibreglass pool installations have been awarded for both excellence in design and construction. We are exceptionally passionate about creating fibreglass pools of the highest standard, and for this reason we are proud members of the national Swimming Pool Association (SPASA). Our fibreglass pools have a superior marine grade gel coat. This ultra hard wearing surface is UV protected, fade resistant, reduces up to 99% of bacteria and best of all, is easy to clean. Furthermore, our pools exceed Australian and world standards for thickness. We use proven high performance sandwich core with the highest strength to density ratio, making our fibreglass pools 50% stronger. And, if you’re still not convinced, we offer a lifetime structural warranty on all of our fibreglass pool shells! Whether you are looking to install just a pool, or one of our award-winning pool and spa combinations, we are committed to delivering the highest level of service and quality on your project. Contact us today for a free on-site measure and quote – at a time that is convenient to you. Paul is a Digital Marketing Manager at Australian Outdoor Living (AOL). With an extensive background in the digital arena, he ensures that AOL remains at the forefront of the digital revolution. Like all at AOL, Paul is passionate about outdoor living, and is a strong advocate of AOL's focus : "Love Your Life Outdoors".